Incredibly glamorous but yet romantic selection that is a real feast for the eyes. Featuring delicately scented white roses, timmed spray chrysanthemums, pink germini and white gypsophila. Everything about my flower arrangement was stunning! The flowers were breath-taking. My birthday became even better when I saw this beauty on the porch, thank you! Nothing to complain about. Timely delivered flowers. Chose this bouquet to send to my mother. I thought she would like it and she definitely did. She sent me some photos and the flowers looked spectacular. I will recommend the company to all of my friends. 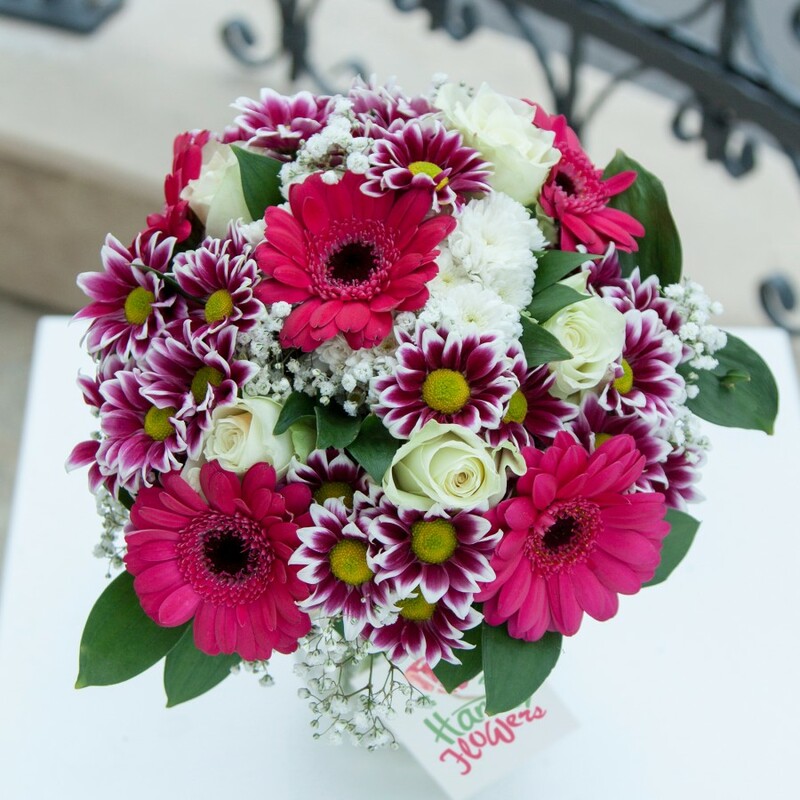 An artfully arranged bouquet of fresh flowers – everything I wanted! The flowers were divine! I’m happy I decided to order from this florist and I’ll do it again for future occasions too. 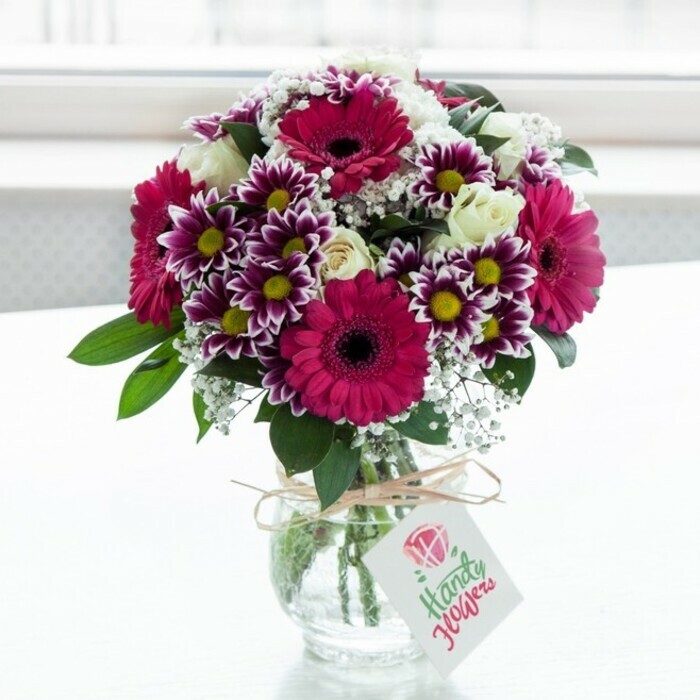 Chose Pink Sweetness as they had my friend’s favourite colours – she was delighted with them and couldn’t believe how long they lasted. Was always a bit concerned that the flowers wouldn’t look as good as they did on the website, but These look even better in person. Wanted some flowers for my sister’s birthday and have searched high and low. Then I found this website, which was exactly what I wanted. My sister was delighted with them and I was happy with the service I received. A-class presentation – these flowers were just what I was looking for as a thank you to a colleague. Really reassuring service as you’re kept in the loop at every stage of the process. I’ve found my new favourite florist! They have so much more options than others and their service is outstanding. Absolutely delighted with everything from them so far. Wonderful! Never used an online company for flowers before but would definitely use again. Saved me a lot of time and gave me a lot more scope than I would usually get.